With opening day fast approaching on Wednesday, Dec. 26, Santa Anita Park has announced its “Ship & Stay” program for out-of-state horses running at the upcoming 2018-19 Winter/Spring Meeting. This announcement has been made in conjunction with the issuance of Santa Anita's Winter Meet Condition Book One, which will be available online late Tuesday evening and in the Racing Office Wednesday morning. Funded solely by Santa Anita and The Stronach Group (TSG), the new “Ship & Stay” offering will provide on-going bonuses to individual trainers who bring horses to run at Santa Anita from out of state. 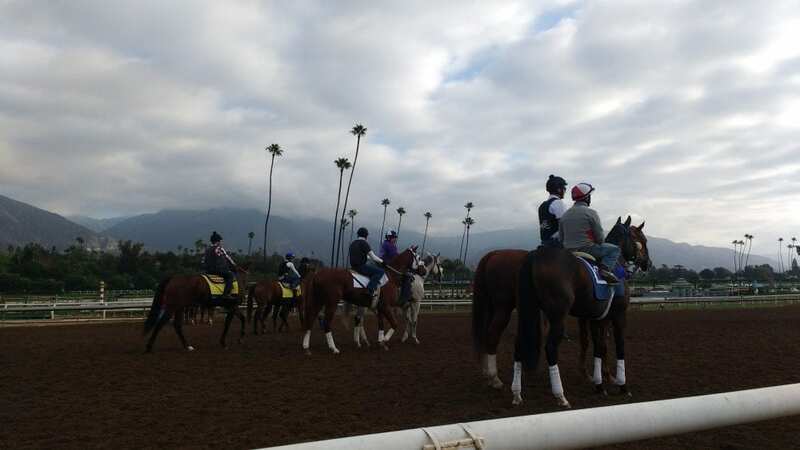 Bonuses will be paid to the connections which originally brought the horses to California for their first three starts at Santa Anita. These bonuses will be paid even if the horse is claimed. –-All eligible horses must first register in the Santa Anita Racing Office. –“Ship & Stay” is available to all horses that have made their most recent start outside of California and have not raced in California in the past 12 months. –First time starters and stakes horses are not eligible. –“Ship & Stay” will provide a 10 percent purse bonus to the trainer after the horse's first start. –A 10 percent purse bonus, or $1,000, whichever is higher, will be provided for each individual horse's second and third start. These monies will be allocated to the trainer who brought the horse or horses to California. For additional information on Santa Anita's Winter/Spring Meet “Ship & Stay” program, please contact the Santa Anita Racing Office at (626) 574-6352. This entry was posted in NL List, The Biz and tagged santa anita, santa anita ship and stay, santa anita winter meet, The Stronach Group by Mike Willman/Santa Anita. Bookmark the permalink.